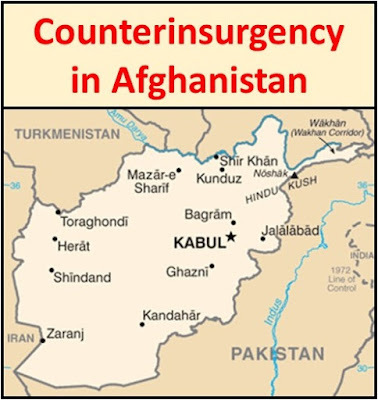 Charles Barham, a retired U.S. Army Colonel and veteran of various programs and projects in Afghanistan, provides an excellent argument on the need for the government of Afghanistan to wage a counterinsurgency campaign. He stresses that the Afghans would be in the lead; but that they would be assisted by Resolute Support and other organizations. The COIN campaign would be a package of security, governance, and basic services. "This does not need to be the full spectrum, comprehensive COIN led by the U.S. from 2010 to 2012, but a "light" version of that campaign. Regardless, GIRoA will likely require coalition forces to work by, with, and through them, providing training, advising, and assistance (TAA) in order for GIRoA to identify and address the specific elements of security, governance, and basic services which are the most critical for winning over the population and bringing the Taliban insurgency to an end"
This work by Barham is one of the more very informative articles about the way forward in Afghanistan that has appeared in the media. One wonders if the newly established U.S. Army's Military Advisor Training Academy (MATA) or the soon-to-deploy to Afghanistan 1st Security Force Assistance Brigade (SFAB) has included within its training topics relating to counterinsurgency. Another good question is whether the Counterinsurgency Training Center - Afghanistan (CTC-A) is still operating. Read "The Case for Counter Insurgency 'Light' in Afghanistan", by Charles Barham, Real Clear Defense, February 5, 2018. 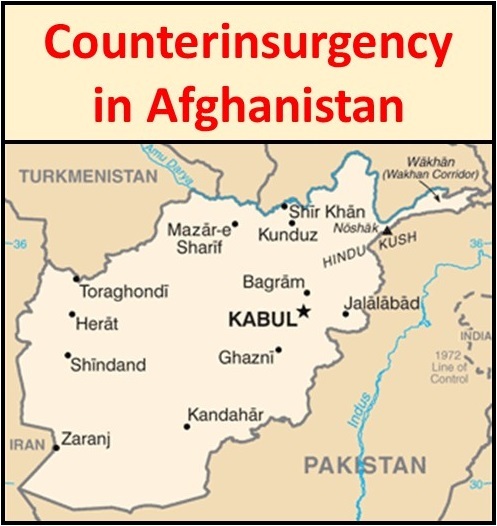 Read other publications and papers about counterinsurgency in Afghanistan.